An estimated four to five million Luri people live in the Zagros Mountains in the southwestern provinces of Iran. 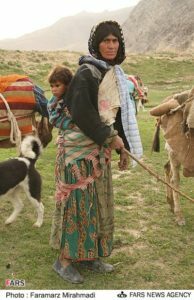 Making up about 7% of Iran’s population, these ancient nomads are believed to be indigenous to the area, descended from ancient Persians. History reports that Luri ancestors were the Elamites and Kassites, dating back to 3000 B.C. It was the Kassite dynasty that defeated ancient Babylonia and dominated Mesopotamia for 576 years. Could this be the fall of the Babylonian empire under Nebuchadnezzar? The Luri are divided into Northern and Southern provinces with southern tribes speaking “Laki,” a form of Kurdish, and northern tribes speaking “Luri,” the closest living language to Old Persian. Neither language has the Bible. Men are often bilingual; while the women, restricted to their tribal lands, often speak only their tribal language. The literacy rate is very low with only 48% of the Luri reading and writing. The Luri profess Shia Muslim, but practice very individualistic and diverse forms of Islam, including the mystic Iranian religion of Yaresan. It teaches that man, aware of the outer world but ruled by the inner world, goes through as many as 1,001 reincarnations while his soul seeks perfection. A famous Yarsani saying is “Men! Do not fear the punishment of death! The death of man is like the dive which the duck makes.” They need to know that an unsaved man or woman dives into hell. And they need to know the One who can take them to heaven.